Find information about theatrical performers, performances, theatre companies and venues. Includes everything from drama, opera and dance to circus, puppetry and readings. 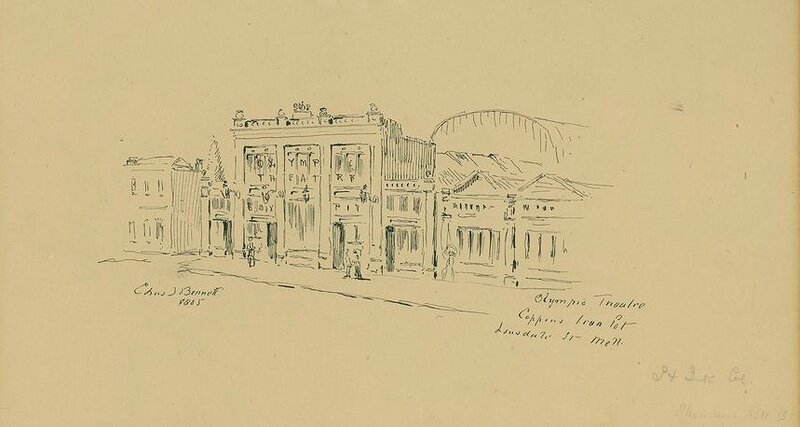 Our catalogue lists published theatre histories, unpublished personal papers, unpublished organisational papers, architectural drawings and pictures. Use the headings down the side of the catalogue's results list to refine your search. As a result of your search you may wish to look at a theatre programme file. You can request the file at the Information Centre desk (level 2, ground floor) or phone 03 8664 7002. Files are delivered to our Heritage Collections Reading Room. Delivery takes 20-30 minutes and you must order before 5.30pm. Our guide, Researching buildings and houses will help you find more information about the architecture and history of theatre spaces. Newspapers are a very useful source of information. They may contain articles, photographs and interviews about theatres. There may also be reviews and advertisements for performances in particular theatres. Our research guides, How to find newspapers and How to find items in newspapers will help you navigate our large collection. The guides cover both historical and current newspapers. Daily newspapers such as the Melbourne-based, The Argus, The Age, The Sun and The Herald all carried theatrical information. You should also check suburban and rural newspapers for smaller events in local venues. Some newspapers or magazines specialised in theatrical news. We have compiled lists of publications that are in the State Library's La Trobe Collection. These lists are available below. Generally these newspapers and magazines are not indexed, so you will need to browse the time period relevant to your research to find items of interest. 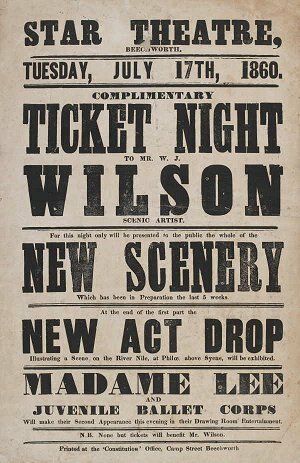 One rare Victorian theatre newspaper, The thespian: a journal of amusement (circa 1884-1886), is only held by the State Library of New South Wales. Indexes briefly list the contents of resources that are usually printed or on microfilm. Items that are indexed include things like news reports and feature articles. Search the online Australiana index for references to theatres in magazines, books, newspapers and our in-house bibliographical files. Look for the name of the theatre. If it is a common name use the name of the theatre and the name of the town or suburb where it is located. Also find references to theatres in our Local History Index. It is not available online but you will find it on microfiche near the Information Centre desk (level 2, ground floor) as well as in the Family History & Newspapers Room (level 2, ground floor). Among the theatres you will find listed are the Comedy Theatre in Melbourne and Her Majesty's Theatre in Ballarat. AusStage is a directory of Australian performing arts. It is not exhaustive but it can help you to identify the venue for a particular performance. It includes some references to reviews. You will also find reviews in blogs like Theatre Notes (2004-2012). Independent commentary is provided here by Alison Croggon. She was the Melbourne theatre critic for The Australian newspaper until 2010.
eMelbourne (the online version of The encyclopedia of Melbourne) will give you an overview of theatre in Melbourne generally. Also look for the names of specific theatres. In Australian Variety Theatre Archive you can check the A-Z listing for a history of theatres that are of interest to you. On Stage is the newsletter published by Theatre Heritage Australia Inc. It contains a wealth of theatrical information including articles on specific theatres. On the web site, look for past issues under the heading, On stage magazine. The contents of the newsletters can also be searched online through the Victorian History Library at Prahran Mechanics' Institute. Go to Prahran Mechanics' Institute home page and select catalogue. Search by title, on stage, as a phrase. You will see a number of entries displaying holdings of the newsletters from 1999. When you click on an entry you will see a listing of main contents from each issue. Cinemarecord is the quarterly magazine published by the Cinema and Theatre Historical Society Inc. It includes current and historical information on specific theatres. You will find the contents index of the magazines listed online. Kino Cinema Quarterly (previously known as Kino) is published by the Australian Cinema and Theatre Society. It includes information on specific theatres and cinemas around Australia. An index to earlier issues of this magazine (July 1982 No. 1 to June 1997 No. 60) is available.